So uh, I might have found my nirvana. 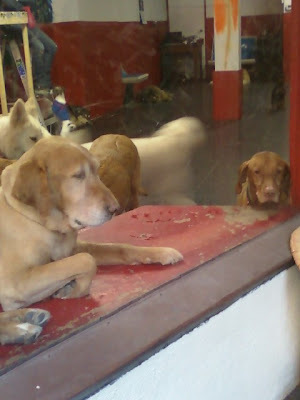 Walking home from work yesterday, I passed a doggie daycare (on 12th street I believe?). They were so well-behaved! They all rushed up to the window to say hi, but they didn't bark. They just stared. Being all cute and stuff. I think the woman who worked there thought I was a loon. I couldn't stop grinning and waving at the dogs!